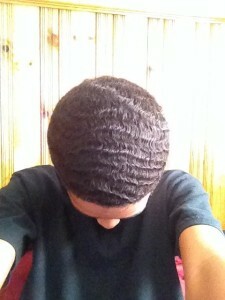 A lot of guys have been asking if its possible to get 360 waves overnight. Guys ask me all the time, “How long does it take to get waves?,” and “Can I get waves in one day, overnight?” Simply put, there is no simple answer to either of those two questions nevertheless, I will still give you the answer to both questions. After reading this page, you will know if it is possible, and yes it is possible, to get 360 waves overnight. You will also have a good understanding of how long it takes to get waves for most guys, and yes some guys are able to get waves faster due to the hair texture they were born with. I will discuss the two main types of hair textures and make conclusions as to why one hair texture gets waves faster than the other. How long does it take to get waves? Before I address this, I would like to let you know that there is no specific answer to the question, “how long does it take to get waves?”. If you were looking for an answer like, “It takes X amount of days to get waves,” or “if you brush X amount of times per day, you can get waves in X amount of days,” then you were looking for the wrong answer because there is no answer with a specific number of days. There is no set number of days that you can just brush your hair and just expect to have waves on that day. It doesn’t work like that. Now you’re probably wondering, “If there is no exact number of days that I can brush and expect to get waves, then how long will it take?” Having been involved in the wave game helping guys learn to get waves, I have developed enough insight to answer this question with some pretty accurate time frames. Continue reading to get my, expert, estimate of the number of days it will take to get waves. Provided that above, I’ve concluded that you should be able to get waves from anywhere in between 1 day, being the shortest amount of time, and 90 days, being the longest amount of time. When I say one day, I mean that some guys can expect to see waves in their hair after a few hours of constant brushing. In general, guys who can get waves in that short amount of time are usually born with a hair texture that is thick and has loose curls, as seen in the picture aside. As you can tell, his hair texture is very curly, but his curls are long. One effect of having longer curls is having bigger waves. 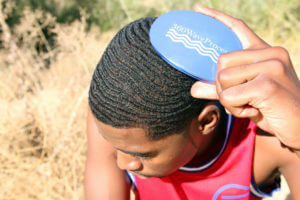 With a hair texture similar to 360 Mike’s you are more likely to see progress in your waves within one day. (Please understand that this is not saying you will get waves in one day if your hair is like his, but it is saying you are more likely to see progress within one day. Also understand that is rare to see waves after one day if you have never gotten waves before. If you have hair similar to hair texture A and have never gotten waves before, then it is more realistic for you to expect to see progress in a week rather than a day). The second texture of hair that generally takes longer to get waves is one that has small curls. Hair of that texture generally gets waves that are not big. The smaller your curls the smaller your waves will be. As a result of having smaller curls you will effectively have more waves on your head. People with coarse hair generally have smaller curls and smaller waves. If you have coarse hair, then you can expect to see progress in your waves after about four weeks (30 days) of daily brushing. At the longest you will see progress in 90 days if you have hair texture B. Keep in mind that you should get one haircut every month, so that means one haircut every 30 days. If you don’t see progress after three haircuts (90 days) of daily brushing, then there is something wrong. 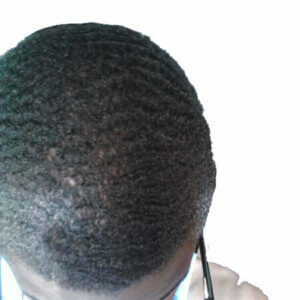 Nonetheless, 90 days is extreme and most guys with hair texture B will see wave progress after their first hair cut which should be after 30 days of daily brushing. You may be thinking that it isn’t fair that it takes longer, but there are benefits to having this hair texture. If you have this hair texture B, then you are able to easily maintain your waves once they are in full effect. People with hair texture A are more at risk of loosing their waves if their hair is cut too low. This is because since they have looser, longer curls when cut low their hair becomes more straight than curly and as a result a lot of their wave progress disappears. And as we all know. you need curly hair to get waves. Can I get 360 waves Overnight? In summary, yes it is possible to get waves overnight. We should understand that people have different hair textures. Some hair textures allow for faster progress while others take more time. There are benefits and drawbacks to both textures mentioned. Hair texture A allows for quicker progress, but falls short in the sense that the waves are easier to lose. Hair texture B takes more time to develop wave progress however, when developed fully the waves are easier to maintain in the sense that even with very low hair cuts the wave pattern will remain. 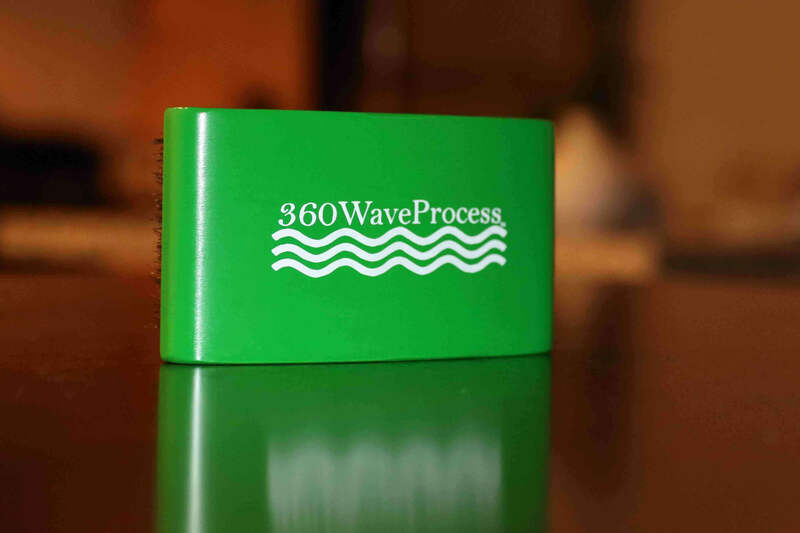 Need a good 360 wave Brush? Try the 3WP Brush Blue Edition! If you benefited from this post, please give it Facebook like below, leave a comment if you have questions, and follow me on Instagram: @360waveprocess If you need more help please see my other post such as, How to prepare 360 Waves For a Haircut, How I got 360 Waves and Kept them Spinning, and the Show off your 360 Waves page where you can post a picture of your waves and get a chance to be in one 360WaveProcess YouTube video. Can I have a shout out to get my YouTube channel hot form the bottom of my heart this will hope me plz. Hey man I don’t got a wave a brush could you give me one please bro.